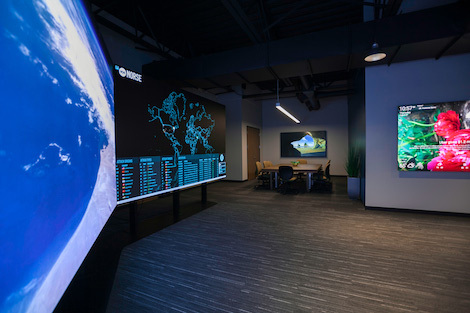 Leyard and Planar, global leaders in visualization products have announced that they have expanded their presence in the United States by adding the assembly, configuration and testing of LED video wall products to their manufacturing facility in Hillsboro, Ore. Through Leyard’s acquisition of Planar back in 2015, the combined company is unique in its ability to leverage core LED technology and supply chain as the worldwide leader in fine pitch LED while designing, engineering, manufacturing, servicing and marketing LED products in North America to meet the needs of western markets. Leyard and Planar are also bringing products to partners and customers across the United States with five new showrooms and their second annual product roadshow, Video Wallapalooza 2017. In addition to their permanent showrooms, Leyard and Planar are bringing products and training events to 10 American cities through Video Wallapalooza 2017, a two-month roadshow. The second annual Video Wallapalooza kicked off in Cincinnati on Aug. 30 and will end in Atlanta on Nov. 9 with two-day events also scheduled in Toronto, Boston, Philadelphia, Nashville, Seattle, San Francisco, Houston and St. Louis. This entry was posted on Friday, October 27th, 2017 at 08:27 @394 and is filed under DailyDOOH Update. You can follow any responses to this entry through the RSS 2.0 feed. You can leave a response, or trackback from your own site.